A pastel drawing done in a life group with the Surrey Figurative Artists in 2011. 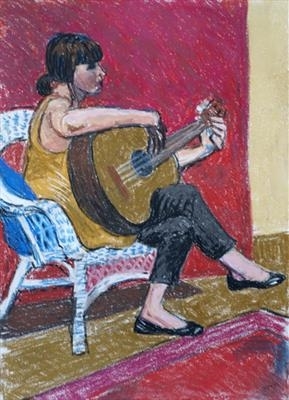 Girl with guitar. Also available as open edition Giclée print for £150 with certificate of authentication.